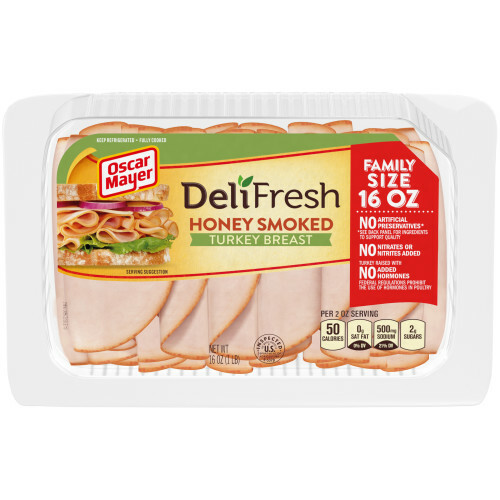 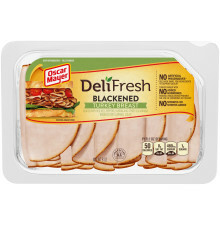 OSCAR MAYER Deli Fresh Honey Smoked Turkey Breast is 98% fat free, made with quality meat and with no artificial flavors or added hormones. So you can enjoy the fresh taste you want with nothing you don't! 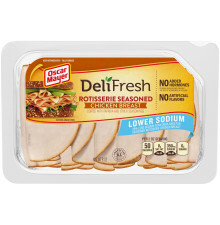 TURKEY BREAST, WATER, HONEY, CONTAINS LESS THAN 2% OF: MODIFIED CORNSTARCH, SODIUM LACTATE, SALT, SUGAR, SODIUM PHOSPHATES, CARRAGEENAN, SODIUM DIACETATE, POTASSIUM CHLORIDE, SODIUM ASCORBATE, SODIUM NITRITE.